Having accurate, credible, valuable sources is crucial to any research paper or project you may be involved in. 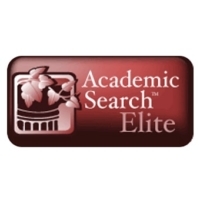 With our rich, extensive catalog of the top research databases available, you’ll be able to access information ranging from medical research to history and literature, with everything in between. All you need to access these databases is your library card, and then you’re ready for your research. Find information on topics related to business, health, education, the environment, government, politics and more from a variety of news media including newspapers, newswires, blogs, broadcast transcripts, periodicals and web-only content featuring The Call and USA Today. Also includes Special Reports for homework help. Find information on topics related to business, community issues and events, education, government, politics and more. Search census, birth, death, and marriage certificates, newspaper & historical stories, photos, historical maps and other media. In-library access only. No login or password required. AskRI: Rhode Island’s Statewide Reference Resource Center. A local hub of information resources used by job seekers, students, and educators alike! Biography Collection Complete offers a comprehensive collection of full-text biographies supporting history, science, the arts, music, literature, multicultural studies, gender studies, business, government & politics, sports, entertainment and many other areas. This database features more than 177,000 full-text biographies from many different sources. Designed to support patients’ information needs and foster an overall understanding of health-related topics. Provides content covering all areas of health and wellness from mainstream medicine to the many perspectives of complementary, holistic and integrated medicine. Covers topics such as aging, cancer, diabetes, drugs & alcohol, fitness, nutrition & dietetics, children’s health, men & women’s health, etc. GreenFILE Includes content on the environmental effects of individuals, corporations and local/national governments. Topics covered include global climate change, green building, pollution, sustainable agriculture, renewable energy, recycling and more. Combines digital, searchable images of U.S. federal census records with full-text genealogy and local history collections. Hint: In the partially indexed 1930 Census, choose Browse to view records by state, county and location. World’s most comprehensive full-text history reference database, featuring full text for more than 2,400 reference books, encyclopedias and nonfiction books from leading history publishers. Also includes full text for more than 130 leading history periodicals, and contains more than 61,100 historical documents; more than 66,000 historical biographies; more than 110,200 photos and maps; and more than 80 hours of historical video. 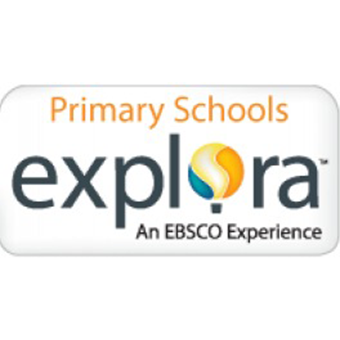 EBSCO’s interface designed for students in grades K through 5. Kids Search provides elementary school students with an easy-to-use, graphically-appealing interface they can use to search their EBSCO databases. Practice tests and tutorials for SAT, ACT, GED, US Citizenship, job skills and more. Provided by Askri.org. Your library card barcode is needed to login. Comprehensive database that provides users with a broad spectrum of information on thousands of authors and their works across literary disciplines and time frames. Full-text database of more than 35,000 plot summaries, synopses and work overviews; nearly 100,000 articles/essays of literary criticism; more than 252,000 author biographies; also includes over 693,000 book reviews, author interviews and information on classic and contemporary poems , short stories, classic texts and more. Mango is an online language-learning system that can help you learn languages such as Spanish, French, Japanese, German, Chinese, Portuguese, Russian, Greek, Italian and more. There is even instruction in learning English as a second language! Provided by Askri.org. Designed specifically for public libraries, this multidisciplinary database provides full text for nearly 1,700 general reference publications with full text information dating as far back as 1975. Covering virtually every subject area of general interest, MasterFILE Premier also contains full text for nearly 500 reference books and over 164,400 primary source documents, as well as an Image Collection of over 460,000 photos, maps & flags. This database is updated daily via EBSCOhost. Middle Search Plus provides full text for more than 140 popular, middle school magazines. All full text articles included in the database are assigned a reading level indicator (Lexiles). Full text is also available for thousands of biographies and historical essays. Middle Search Plus also contains 84,774 biographies, 105,786 primary source documents, and an Image Collection of over 453,000 photos, maps and flags. Novelist Readers’ advisory tool provides access to information on 155,000 fiction titles and a wide range of feature content to enable library staff to serve fiction readers of all ages. Includes author read-alikes, book discussion guides, reading lists and more.